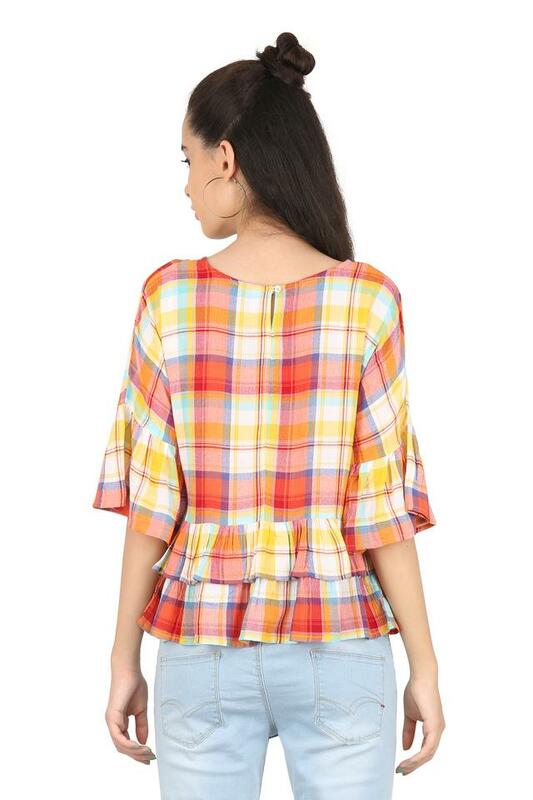 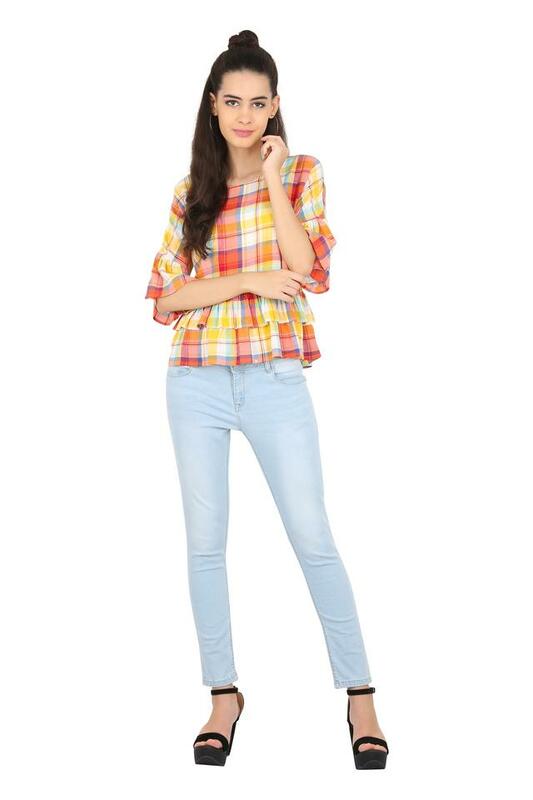 Inspire dapper looks with this top from Lee Cooper. 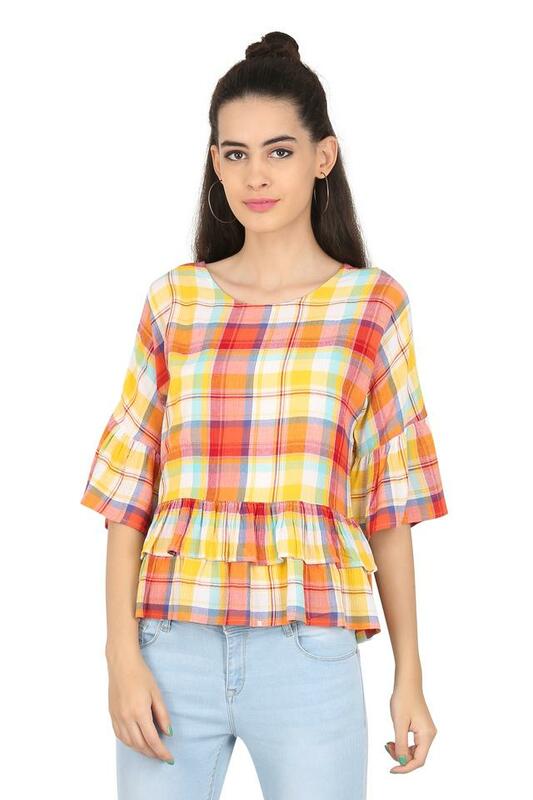 It features a checked pattern that renders it smart, while the use of good quality fabric will provide you with utmost comfort. 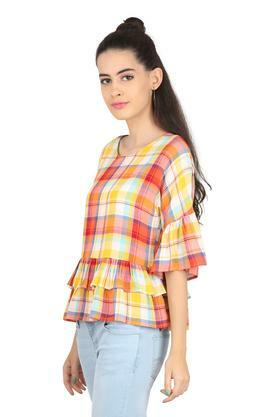 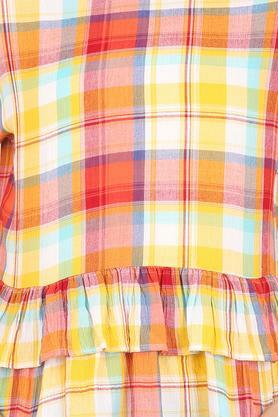 It also comes with a round neck and flared sleeves that further add style to its unbeatable comfort quotient. Inject some style into your wardrobe with this top. Make your casual outings stylish by teaming it with a pair of distressed denim shorts and sandals.